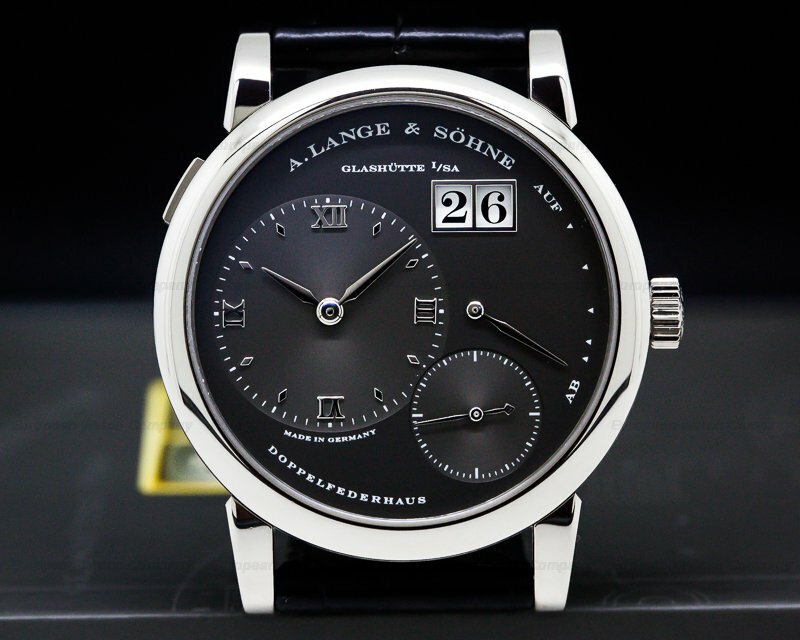 29865 A. Lange & Sohne 234.026 1815 Up & Down 234026, 18k white gold on a wtrap with an 18k white gold tang buckle, manual wind Lange caliber L051.2 movement, 72 hour power reserve, silver dial with black painted Arabic numerals, blued steel hands, small seconds and power reserve, sapphire crystal, display back, size: 39mm, thickness: 8mm, Like new with original box and papers; dated 3/2017. 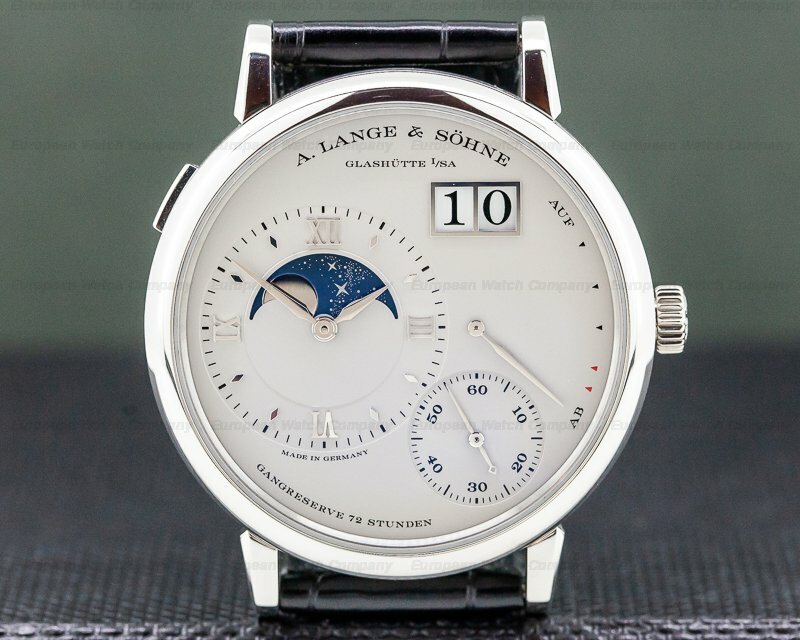 This is an 18K white gold A. Lange & Sohne 1815 Up & Down 234.026. 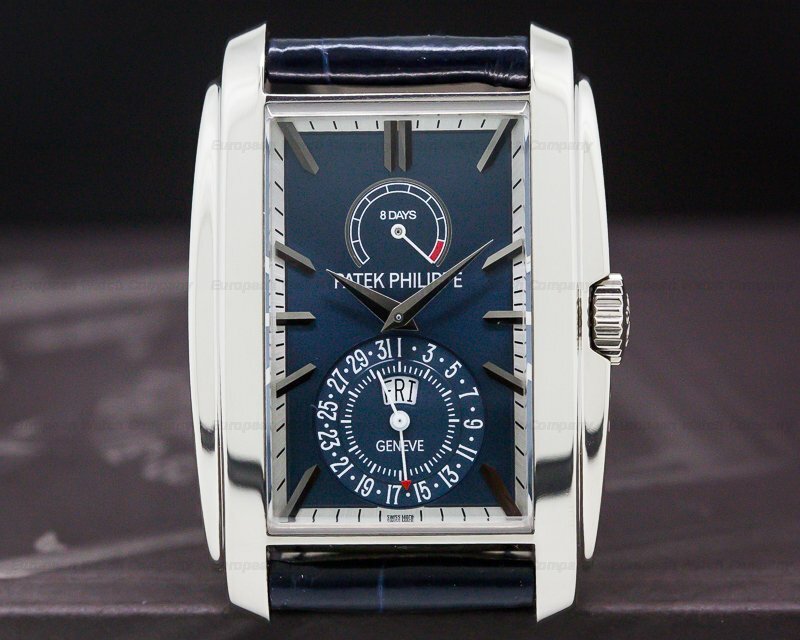 It has a leather strap with an 18k white gold tang buckle, and a scratch resistant sapphire crystal. 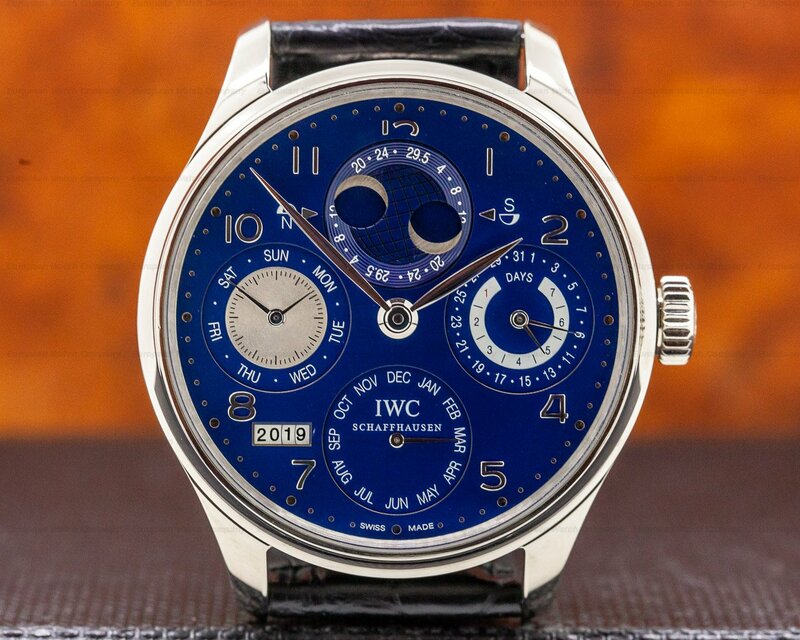 The 39mm diameter case, rounded bezel, and slightly downturned lugs are polished with a satin-finished case band, and the transparent Sapphire display case back is secured with 6 screws. 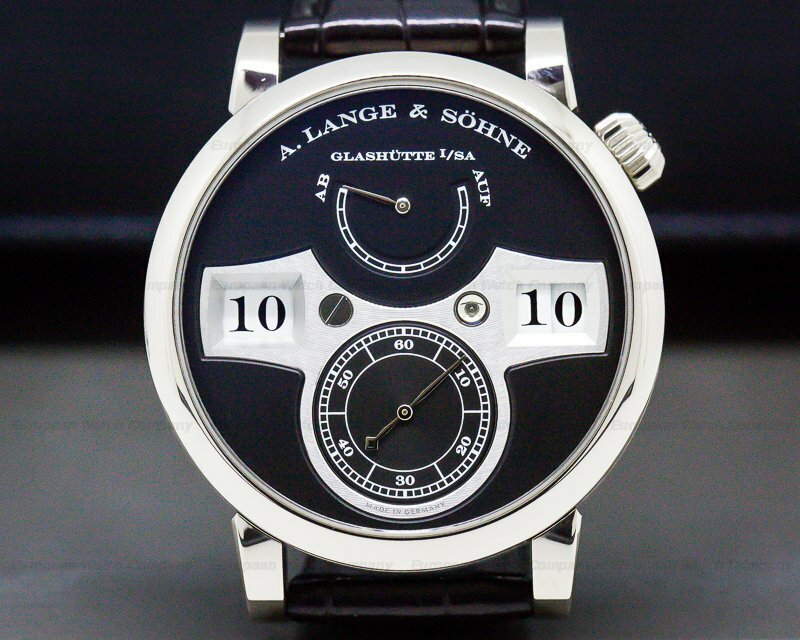 The dial is silver with painted black Arabic numeral hour index markers, blued steel alpha hands, a stepped-down center, and an outer minute track. 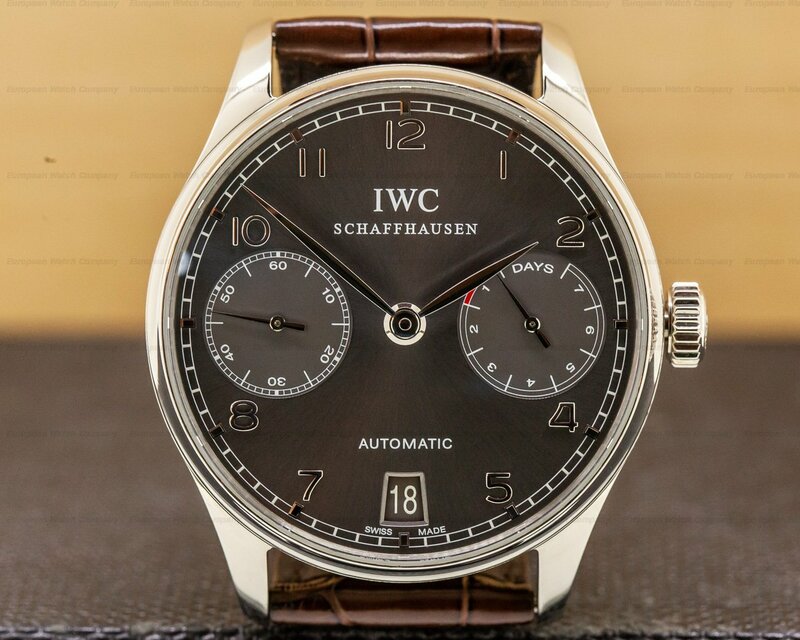 It has two recessed subsidiary dials, including a small seconds dial between 3 and 5 o'clock, and an up-and-down power reserve indicator dial between 7 and 9 o'clock. 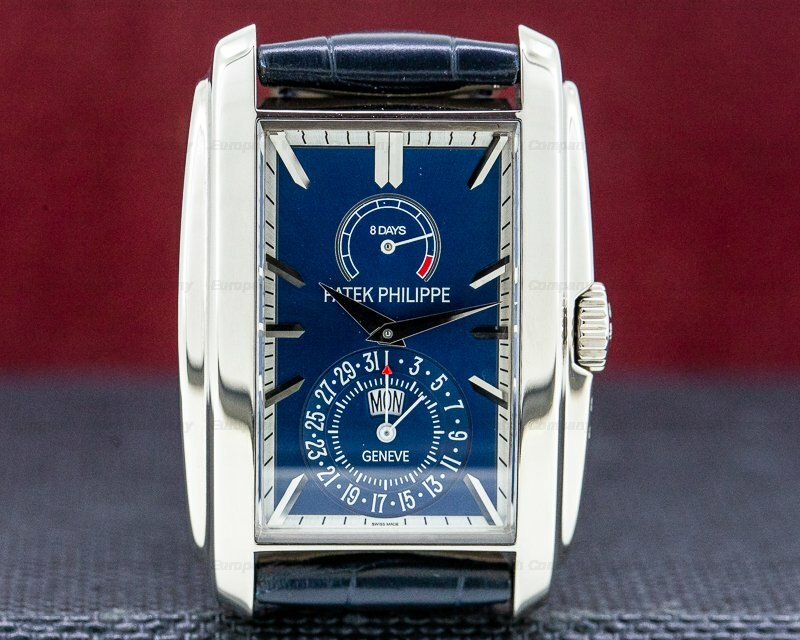 It has a power reserve of 72-hours at fill wind, and it's water resistant to 30 meters/100 feet. 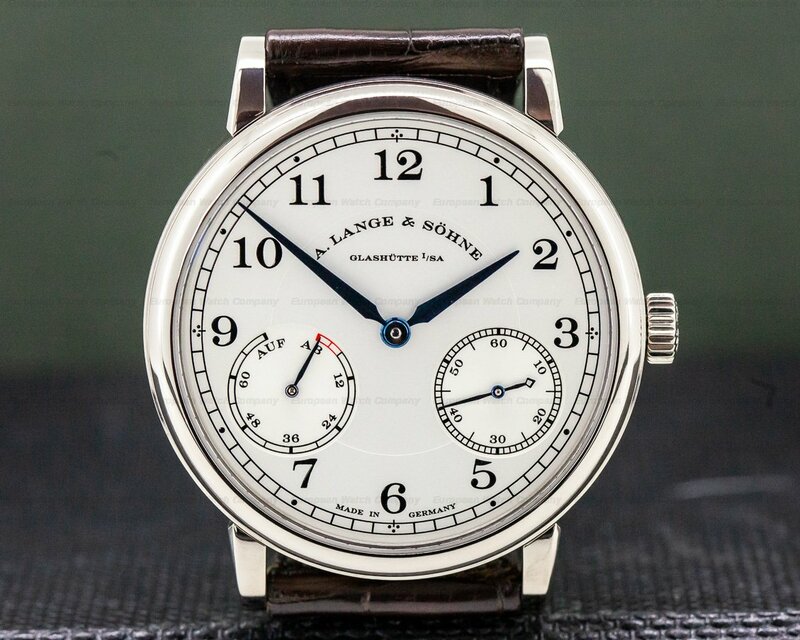 The 8mm thick case, dial, and movement are all signed. 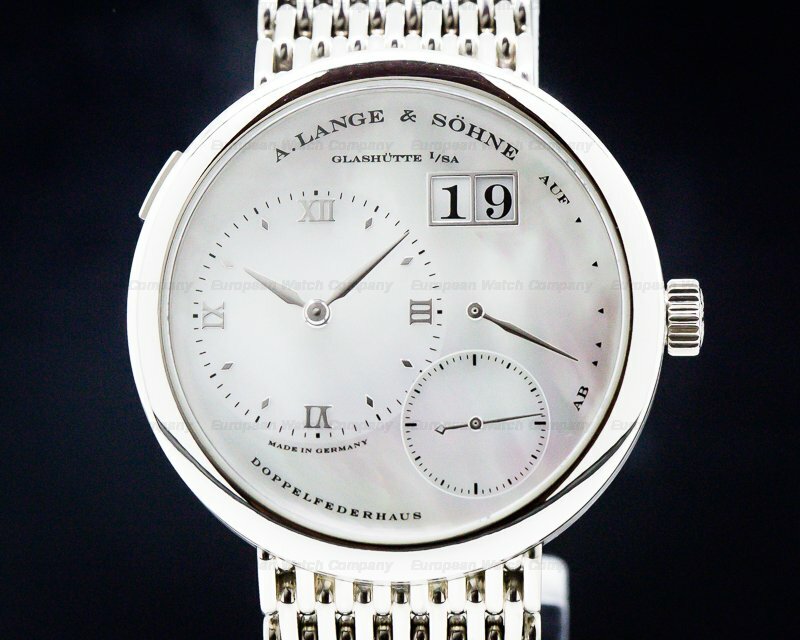 This A. Lange & Sohne 1815 Up & Down 234.026 has a mechanical manual winding A. Lange & Sohne caliber L051.2 movement that's rhodium plated, with fausses cotes embellishment. It's constructed with 29 jewels, 245 components, and a shock absorber mechanism. 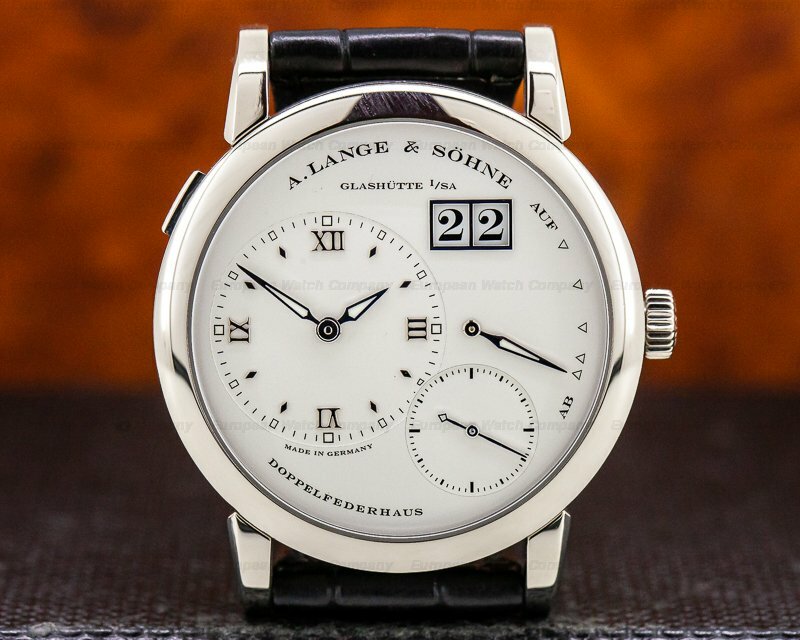 It includes a straight-line lever escapement, a monometallic balance adjusted to heat, cold, and 5 positions, and a self-compensating flat Nivarox balance spring.